Returns are free* with © Mondial Relay from France, Belgium, Luxembourg and Spain! Don't miss it for bargains! In August, the eyes of the fashion world were firmly fixed on Oslo and Copenhagen Fashion Weeks, eager for a first look at the spring/summer 2019 trends. Off-catwalk, streetwear was the driving force of Scandi style, with elegant, effortless looks blending cool with hygge. Nordic numbers that hit the right note included By Malene Birger feel-good creations, Stine Goya color combos, Saks Potts glitter jumpsuits and Ganni’s nomadic silhouettes. The cool kids of fashion also made it their business to be seen in the streets of the Danish capital. Pernille Teisbaek, Loulou de Saison, Blanca Miro, Marie Hindkaer Wolthers and Katarina Petrovic all put in an appearance. The It-girls of the moment sported cutting-edge looks with bold, inspired pairings for bang-on-trend style. 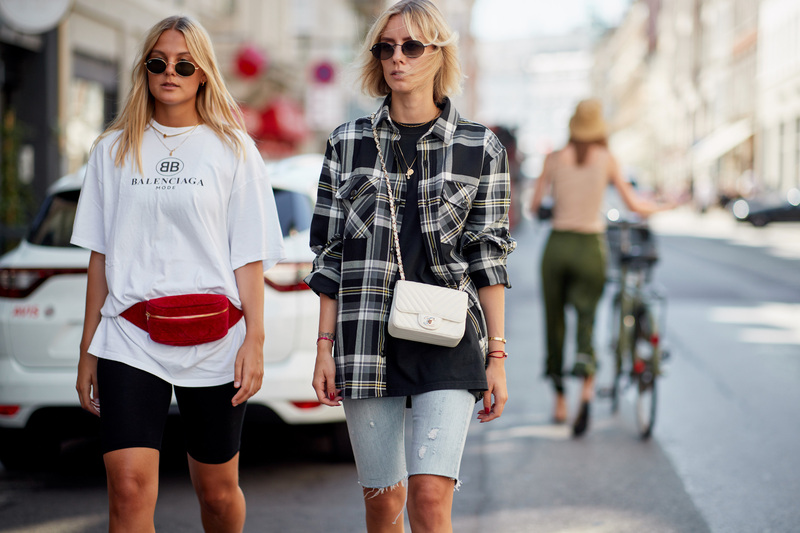 Danish women and their Scandi sisters are showing us the way by twisting their outfits with this season’s most desirable bags and accessories. Fanny packs, saddle bags, cat eye sunglasses, ankle boots in clashing colors, cowboy boots, flip flops... every detail bore the SS19 style stamp and was expertly given the Nordic treatment. In terms of looks, all the key trends were cleverly incorporated: oversized plaid suits, cycling shorts teamed with jacquard sweaters, long scarf-print midi dresses and denim jumpsuits . Whether minimalist or flamboyant, the Danish Girl look is all about deciphering the trends, reinterpreting them and making them your own. It’s the only way to stand out from the crowd. It's fresh and it’s bold. There’s no déjà-vu ortoo much in these phlegmatic silhouettes - just pure originality. And it’s already inspired us to make these Fashion Weeks a style calendar must. We have one piece of advice for our fashionista friends next summer: forget Mykonos and Ibiza and book your flight to Scandinavia instead! Be advised by our fashion experts and inspired!